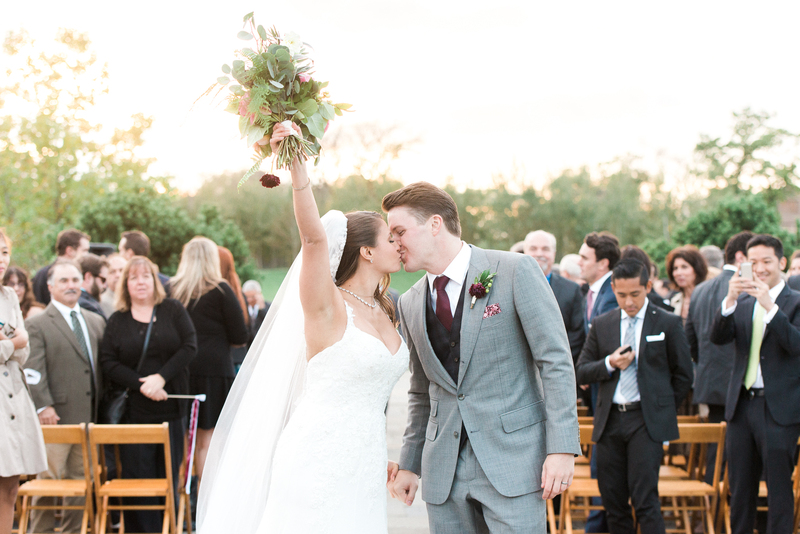 An unplugged ceremony is when the bride and groom ask their guests to ditch / tuck away their devices (i.e. 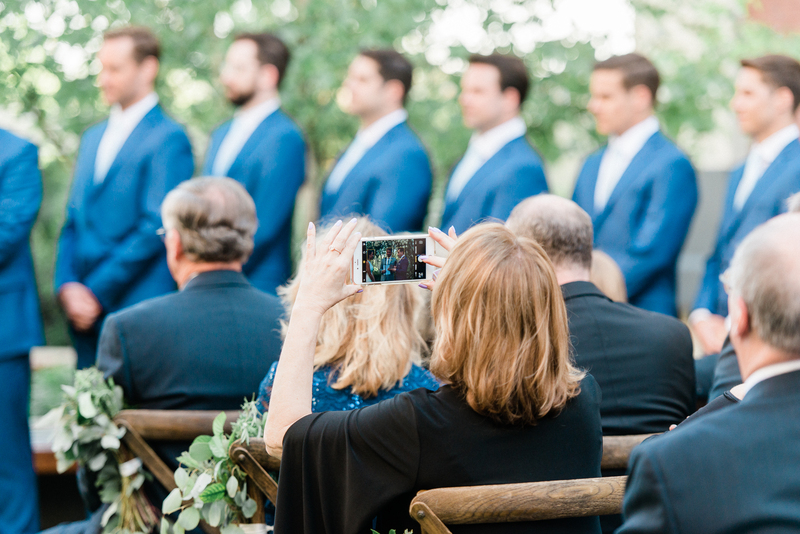 cell phones, cameras, iPads) so that they can be 100% present for the ceremony.Photographers don’t have to worry about guests getting in the way of the professional images, and you don’t have to worry about the risk of an interruption from a catchy ringtone. Win, win. In my years of photographing weddings, I have been worried too many times to count that Aunt Kathy’s iPhone flash is going to overexpose the professional photo of your dad walking you down the aisle or that Uncle Bob is going to jump into the aisle with his camera and ruin the first kiss photo (and yes, these things have happened before). When couples choose to have an unplugged ceremony, this isn’t a concern and it allows myself and my team to photograph your ceremony beautifully. 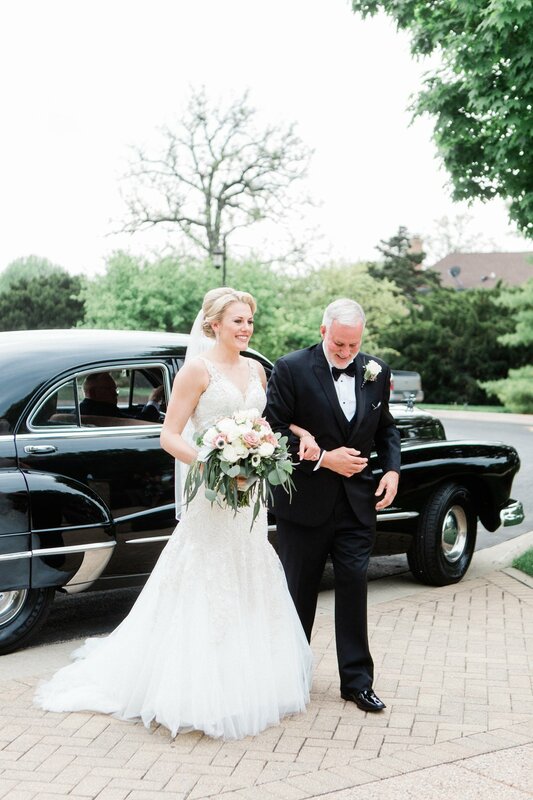 The photo of you walking down the aisle is gorgeous because you are seeing you …. Not 50 of your guest’s phones (or iPads). 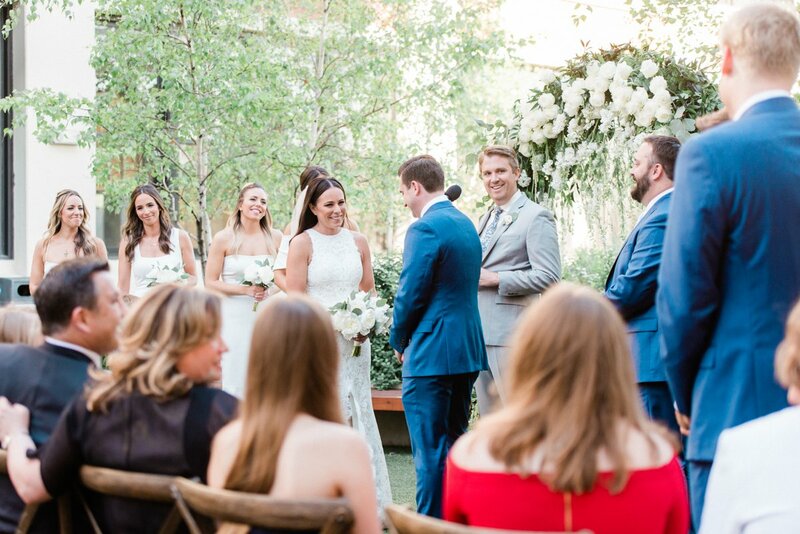 Plus, by asking your guests to put away their devices for the ceremony, it allows them to be fully present in the moment versus living it through their phone or camera (that is why we are there, friends, right?). 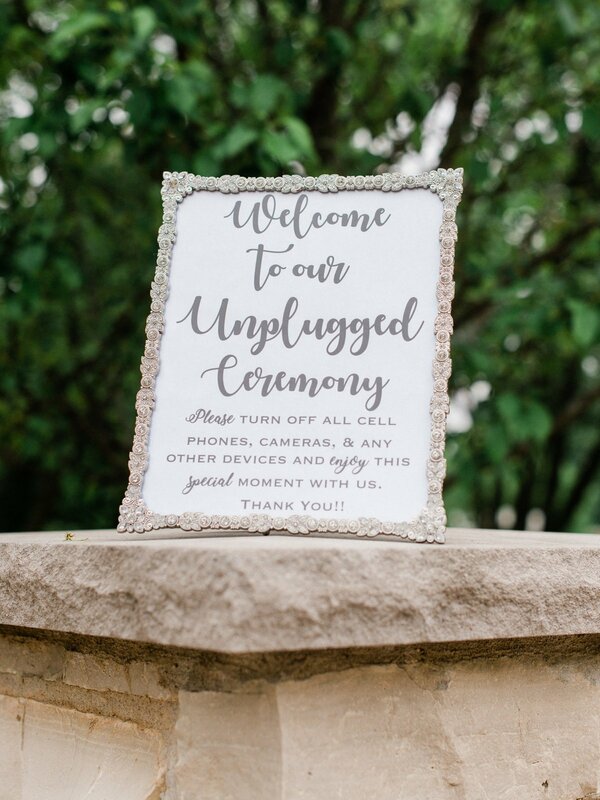 Ok, so you like the idea of an unplugged wedding but you have no idea how you will ask your guests to not be on their phones? Don’t fet. Or include a cute sign like this one as guests find their seats. Will you be having an unplugged ceremony? Or already married …. Do you wish you had an unplugged ceremony? Tell us in the comments below.